Maybe ten or few more years ago during 2nd shotgun season I am sitting up against a big old Walnut tree, on top of a hill. Maybe ten yards from a fence on my left, pasture in front of me fields beside and behind me. Around 9 AM I looking down this hill and on the other side of the fence I see horns coming at me. Now this is where it gets weird, the rack is a 8 pointer but small, but it is just above the grass in the fence but I still can not see the deer. Now we all have seen grass that has grown in a fence that then blows over as winter goes on. So am I seeing a deer crawling up the hill to me? I am still seeing the horns but no deer and they are within 10-15 yards to the left of me but still in front coming towards me. I know this property and know there is no wash out or anything like that so why can’t I see this deer, what the heck is going on. Within a few seconds the deer is right across from me, like I said no more than 10 yards to my left. 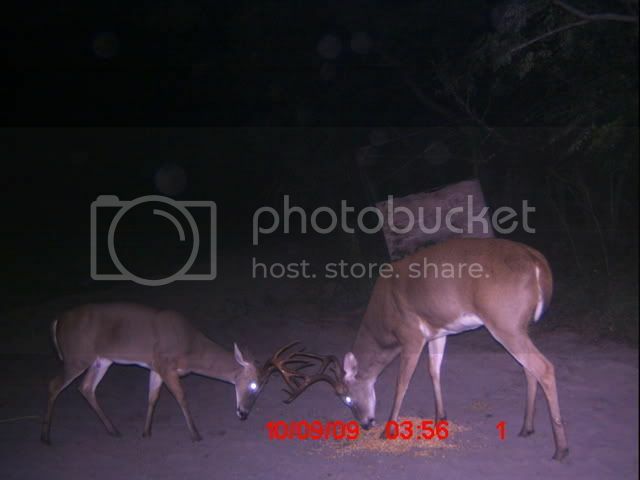 This buck is no more than 2 foot tall at the top of his head, no spots, the rack is out past his ears, I would compare it to a 3 1/2 8 point buck, but I am telling you that with his rack it was no taller than 3 foot tall and I think that may be pushing it and I think if it weighed 30 lbs. that would be pushing it also. Put it this way, I am 6’3” sitting on the ground and my head is still above this deers rack. I watched this deer run on up the hill and over it, I got a good view for at least 30 yards, wide open spot, farmer had even kept this area mowed. Could have shot it, it would have made an awesome little full body mount, (I hope) but I just couldn’t. There was no booze or drugs involved either! I have never before or after seen anything like this, but what did I see? A dwarf? Location of where I saw this was 1/2 way between Springfield and Jacksonville IL., So I am also guessing this didn’t come across a state line and no there are no exotic and never was animal farms in the area. Any thoughts on what I saw that day? There are several reports online about dwarf deer. Most of them sound like what you describe. Here is one pic I found. These look normal but look closer at body size and the legs. Their body size doesn’t look much bigger than the tire tracks on the ground. Also here is a video of one here. they say its a dwarf. I agree its smaller and more developed than a normal fawn, just not sure. Aw come on guys, I thought the teasin remarks would be a lot better. Is is hard to compare the pictures, but the doe in the snow next to the buck looks even a little bigger in body size, taller and heavier. The one in velvet is hard to tell, they all look a little heavier than the one I saw but it was healthy looking. That little velvet buck looks like the front leg was hurt at some time, looks all knotted up or something, or more than the other leg at least or maybe that is the way they are. But at least you didn’t tell me to break my crack pipe and quit thinking about little ferry deer! It could of been a jackalope??? Now fellas, I was not binge drinking nor had I filled up my sneak-a-toke at the time. Being a “78” graduate being gave and not really earning my diploma just to get me processed out, a (FLASHBACK) could have been very possible. I can BS with the best and usually as full of bowl movement as can be. BUT, I did see this, it’s not someone else’s story that I heard and passing on as my own. I myself still have a hard time believing what I saw, and I honestly say I think it was some type of birth defect. It was a pretty of a buck as you can see except really small. I know when I am trying to get in the pearly gates above this is one I won’t have to answer for. 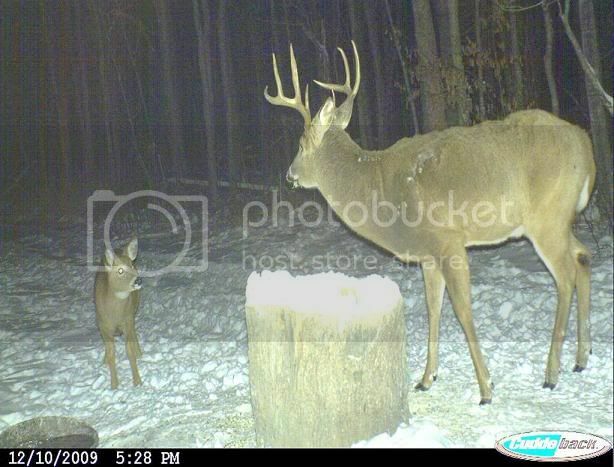 Now with that last picture, I am saying that the bigger buck is probably what 1 1/2 and weighs 150 lbs. or I will say that for comparing or just to try to make a visual or scale to go by. The deer I saw was maybe half of what the smaller deer is, same kind of nice rack on him also.